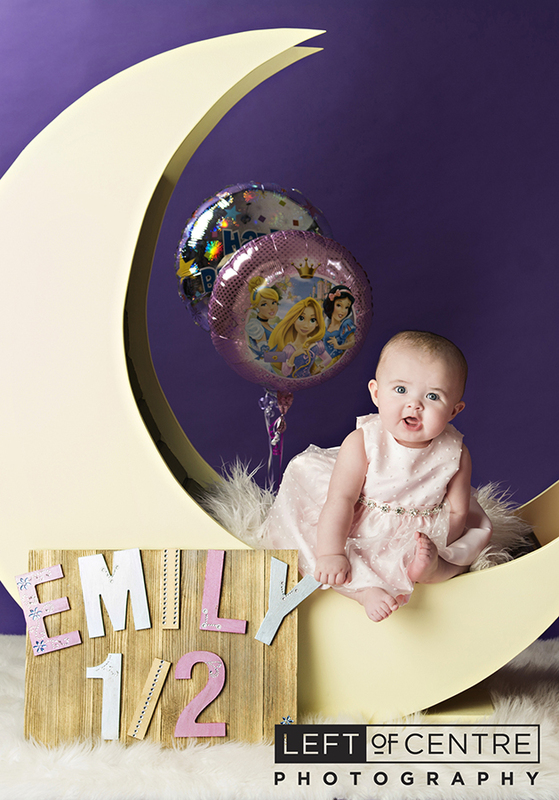 Emily's 6 month milestone photography session at our home studio! There is something beautiful about the 6 month milestone. Babies are at their most innocent yet on the verge of mischief. Think Puss in Boots from Shrek with his adorable big eyes just before he pulls out his sword! 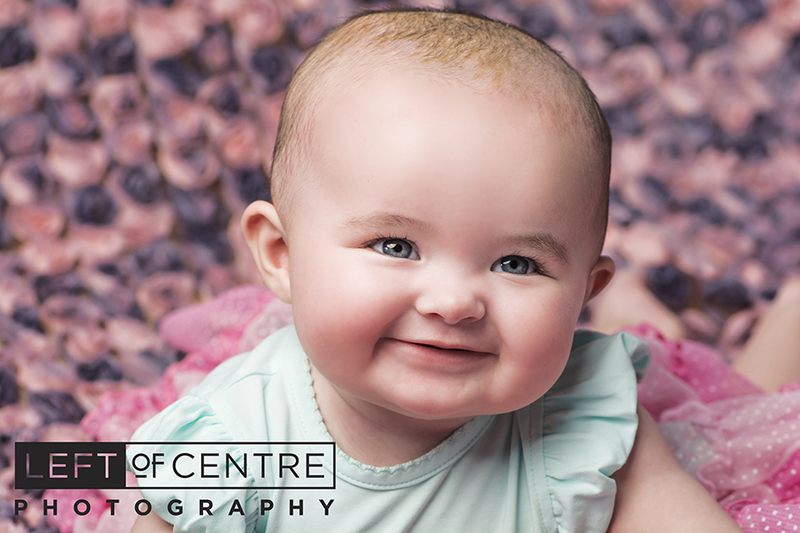 6 month olds are just the same, big innocent eyes, only instead of a sword they will pull your hair! We loved photographing Emily and her Mom and Dad! Just look at those big eyes…and watch your hair!